The Strong National Museum of Play, Rochester, N.Y. The Strong: The Strong (www.museumofplay.org) is a highly interactive, collections-based museum devoted to the history and exploration of play. It is one of the largest history museums in the United States, serving more than 550,000 guests a year. The Strong houses the world’s largest and most comprehensive collection of historical materials related to play, including more than 60,000 video games and related artifacts and hundreds of thousands of archival materials related to the history of electronic games. It is home to the International Center for the History of Electronic Games, the National Toy Hall of Fame, the World Video Game Hall of Fame, the Brian Sutton-Smith Library and Archives of Play, and the American Journal of Play. RIT: Founded in 1829, Rochester Institute of Technology is a privately endowed, coeducational university with nine colleges emphasizing career education and experiential learning. The campus occupies 1,300 acres in suburban Rochester, hosting over 18,000, students. In the 2017 edition, RIT was recognized as a top-tier national university for the first time in the 34-year history of U.S. News &amp; World Report rankings. The change is a result of the university’s reclassification as a “doctoral university” this year due to its rapid increase in research and Ph.D. graduates. RIT taught the first graduate course in computer game programming and its game degree programs in the School of Interactive Games and Media are ranked 3rd (undergraduate) and 6th (graduate) in the country. It’s center for Media, Arts, Games, Interaction and Creativity (MAGIC) and its Magic Spell Studios are breaking new ground in the relationship between academic work and professional practice. It’s new studio facility will open its doors in the fall of 2018. About Rochester: This metropolitan region situated on the southern shore of Lake Ontario is also part of New York’s breathtaking Finger Lakes region. Known for its vast selection of family-oriented activities and attractions, Rochester hosts nearly two million visitors each year. The third largest city in New York State, the greater Rochester region is inhabited by a little more than one million people. Conveniently located, Rochester is a six hour drive from New York City, 3 1/2 hours from Toronto and 90 minutes from Niagara Falls. Rochester is home to world-class events throughout the year. The festival season kicks-off with the world’s largest lilac collection at Highland Park’s Lilac Festival (May) where hundreds of thousands visitors enjoy 10 days of brilliant floral colors, fragrance and entertainment. Downtown is alive with the sounds of jazz during the Xerox Rochester International Jazz Festival (June) held in the City’s East End Entertainment District, home to the renowned Eastman School of Music. Rochester has been named one of the 10 best golf cities in the country. It is the only city in the U.S. to host both the PGA championship (Oak Hill Country Club) and LPGA championship (Locust Hill Country Club) tournaments in one summer- 2013. Rochester sits at the center of 100 Must-See Miles of the Erie Canal which when opened in 1825, made Rochester the country’s first “boomtown.” Today, the historic canal thrives as an active recreational waterway with towpaths, shops and charming towns telling America’s story of “how the west began!” Rochester is home to two national historic landmarks open to the public, the National Susan B. Anthony Museum &amp; House and George Eastman Museum. Adults and children are entertained in the second largest children’s museum in the U.S., at the National Museum of Play at The Strong also home to the National Toy Hall of Fame. Click here to download the conference program (PDF). INOUE, Akito – How Was Local Game History Made? ROTH, Martin, Leander SEIGE, Konstantin FREYBE, Tracy HOFFMANN, André LAHMANN –What can data tell us about Japan’s videogame culture? PAYEN, Sylvain – The final Final Fantasy? Poster MUKAE, Shunsuke Beyond the conflicts: How does transmedia storytelling change the relation between　digital/analog and interaction/non-interaction in Otome game? The Strong is centrally located in Rochester, New York. Directions via car, train, and plane are available here: http://www.museumofplay.org/visit/directions-and- parking. Attendees may also call 1-888-HOLIDAY and ask for the Replaying Japan Conference, then either the Single or Double occupancy block. 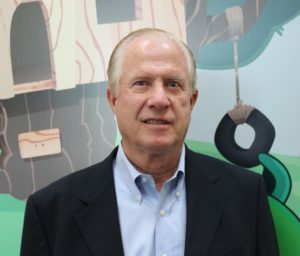 Tom Kalinske has had a long, distinguished career in the video games, education, and toys industries. He is currently chairman of Gazillion Games and Executive Chairman and co-founder of Global Education Learning, a company that acquires education companies in China focused on improving education for young children ages 2-7. 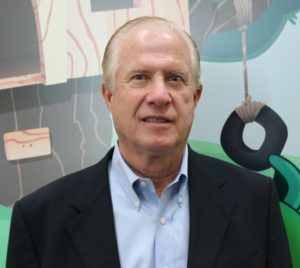 Previously he has had key executive roles in numerous companies including LeapFrog, Knowledge Universe, Matchbox, and Mattel. From 1990-1996 he was president and CEO of Sega of America during which time the market value of Sega grew from $2 billion to $5 billion. A graduate of the University of Wisconsin. He earned an MBA from the University of Arizona, and attended the Harvard Business School’s Strategic Management Program. He and his wife Karen have 6 children and live in Atherton California. 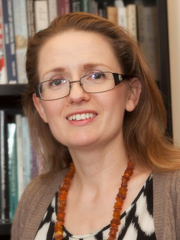 Rachael Hutchinson is Associate Professor of Japanese Studies at the University of Delaware, where she teaches Japanese language, literature, film and videogames. As chair of the Game Studies faculty, she established the UD Games Lab in 2009 and a Game Studies Minor in 2015. Her work on Japanese games appears in the journals Games and Culture and NMEDIAC: Journal of New Media and Culture, as well as the books Gaming Representation: Race, Gender and Sexuality in Video Game Studies (ed. Jennifer Malkowski and TreaAndrea Russworm, U. Indiana Press) and Introducing Japanese Pop Culture (ed. Alisa Freedman and Toby Slade, Routledge). She has published widely on representation and identity in Japanese literature, film, and manga, and is currently working on a book, Japanese Culture through Videogames. The book analyzes Japanese console games in various genres to explore Japanese ideologies of gender, race, colonialism, bioethics, nuclear power and war. We invite researchers and students to submit paper proposals related to this theme. We also invite papers on other topics relating to games, game culture, education, and the Japanese game industry from the perspectives of humanities, social sciences, business, or education. We also encourage poster/demonstration proposals of games or interactive projects related to these themes. For previous approaches related to these topics, see the 2016 program: http://home.uni-leipzig.de/jgames/replayingjapan2016/program/.